Luxury watchmaker Tag Heuer is preparing to launch its high-end smartwatch today, according to company chief Jean-Claude Biver. The watch will be known as the Carrera Connected and will come with a rather expensive $1500 price tag. Tag Heuer has teamed up with Google and Intel to develop its new smartwatch, suggesting that it could be powered by Android Wear, as previous rumors have indicated, and may sport many familiar features. The Carrera Connected syncs up with a smartphone wirelessly and features a changeable watch face and fitness tracking options, which all sounds very standard, but other features are being kept close to the company’s chest. 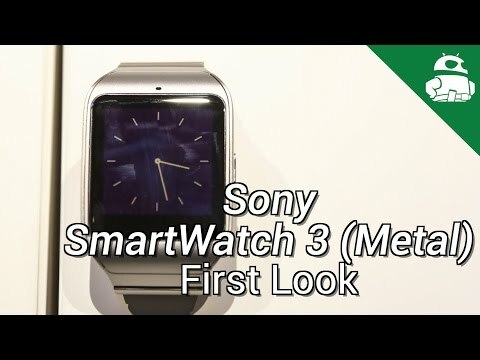 Sony Smartwatch 3 in Metal! With its expensive price tag, the Carrera Connected could end up appealing to similar customers who are interested in the ~$1000 stainless steel Apple Watch models, rather than competing with the range of existing smartwatches in the Android ecosystem. Even Samsung’s new Gear S2 only costs around $300. A move into the premium segment of the watch market could help build the profile of Google’s wearable platform. We know that the very high-end wearables segment is not the most popular end of the market, but Tag Heuer probably isn’t looking to sell millions of units anyway. The smartwatch looks similar to Tag Heuer’s existing Carrera classic watch (pictured above) and apparently can’t be told apart at a distance. The watch will also come with a selection of six brightly colors wristbands to choose from. The Carrera Connected will make its debut in New York at noon on Monday and will be heading to Europe three days later.